If you want to give a great massage to your relatives or partner, this article is just what you need. What could be better than a nice, relaxing massage? Of course, to give a massage, you have to follow several rules since this procedure has contraindications — you’ll find them in the end of the article. As a bonus, there are some tricks that can make your massage really unique. 5. Create a relaxing atmosphere. 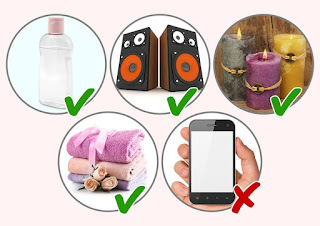 Remove all phones and anything else that could disturb your partner. Prepare a work place that will be comfortable for you and your partner. Quiet music, candles, massage oil, and a couple of warm towels will be enough. You’ll need towels to cover the areas that you’ve already massaged. 4. Start with the feet. Our feet literally accumulate tension, so when you massage a foot, apply pressure to the whole surface, but make sure you don’t press too much. Then, move to the rear surface of the leg in circular motions, avoiding the area under the kneecap. Move from the shin to the thigh, lightly rubbing and applying pressure to the muscles. When you’re done with one leg, cover it with a towel, and start doing the same with the other one. 3. Massage the back, the shoulders and the neck. After the legs, move to the lower back. Remember that it's prohibited to apply pressure to this area. Lightly massage the muscles and move from the spine to both sides in sweeping motions, keeping your palms perpendicular to each other. 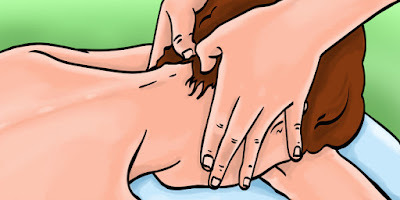 Then, you can massage the whole back and shoulders, applying pressure with your fingers. While massaging the shoulders and the neck, apply more pressure as if you were denting your thumbs into the muscles. But don’t go too far. 2. Pay attention to arms too. Put your partner's arm along their back and massage it, applying pressure to the whole surface. Don't forget about the forearm muscles. Your motions should be smooth but strong. Then, take their palm and massage it with your thumbs in circular motions. Don't forget to massage each finger. 1. Massage the head at the end. Ask your partner to flip over and cover them with a towel. Use your thumbs to gently massage the top of the head, and you can scratch slightly for a more pleasurable sensation. 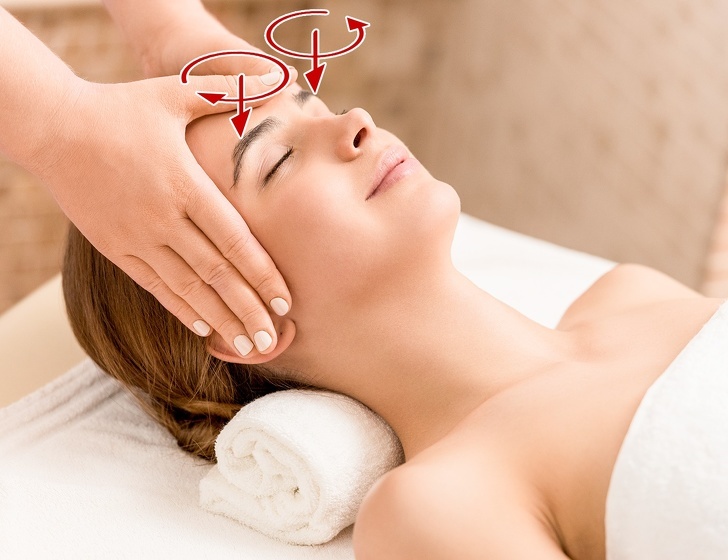 Massage the folds and lobe of each ear between your thumb and forefinger for about 30 seconds. Place your palms on your partner's face so your thumbs can massage the forehead, eyebrows, and the area between the eyebrows. In the end, gently massage the temples. Before giving a massage, rub the oil into your hands. Don't pour it right on your partner's body. In most cases, use the base of your palms. To massage the most sensitive areas, use your fingertips. Don't apply pressure to the bones, massage muscles only. Pay enough attention to each part of the body.